Cuttlefish is neither a fish nor is it very cuddly. It is a relative of the squid and octopus that is beloved in the Mediterranean and in Southeast Asia. The flavor of cuttlefish is a cross between octopus and squid. They are fuller flavored than calamari but not nearly as rich as their rivals, the octopi. Although it is rarely seen fresh in U.S. markets, North American consumers can find this tasty cephalopod frozen in Asian markets. Frozen cuttlefish is usually pre-cleaned. If you should find fresh, or uncleaned cuttlefish, you will need to clean it like a squid. Cut just below the eyes to free the legs, cut out the little beak the cuttlefish eats with, remove the icky stuff within the head and take out the "cuttlebone," a hard centerpiece of cartilage that parrots love to chew on. Cuttlefish, like squid, must be cooked in either one of two ways—in a ragingly hot pan for 2 to 3 minutes or stewed for the better part of 2 hours. Flash fry the legs and body (which is typically cut into rings) and you haven't let that connective tissue harden up. Stew it for hours and you've broken that connective tissue down. 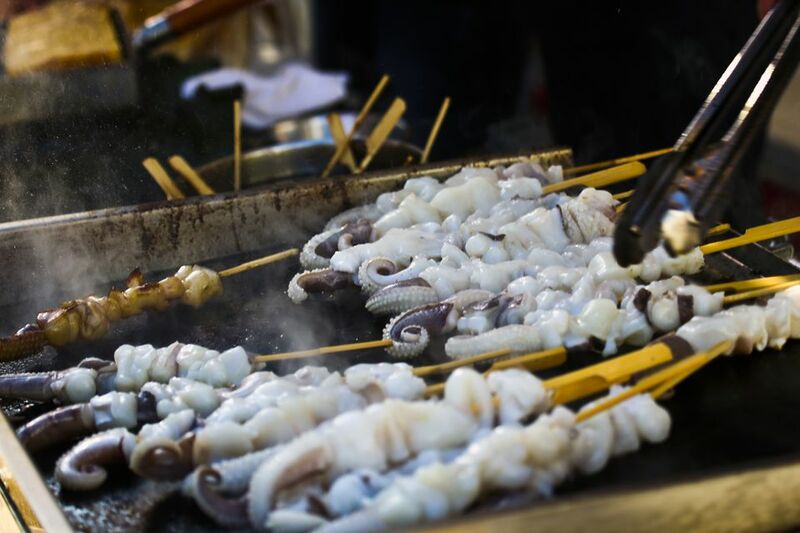 A good rule of thumb is to grill large cuttlefish over a very hot fire for a few minutes as with baby octopus or use it in an Asian-style stir-fry. Failing that, stew cuttlefish in any number of Greek, Italian, or Spanish recipes or try it in Thai seafood noodle salad.